It’s a good day to be prepared on the trails without having to carry tools on your body. 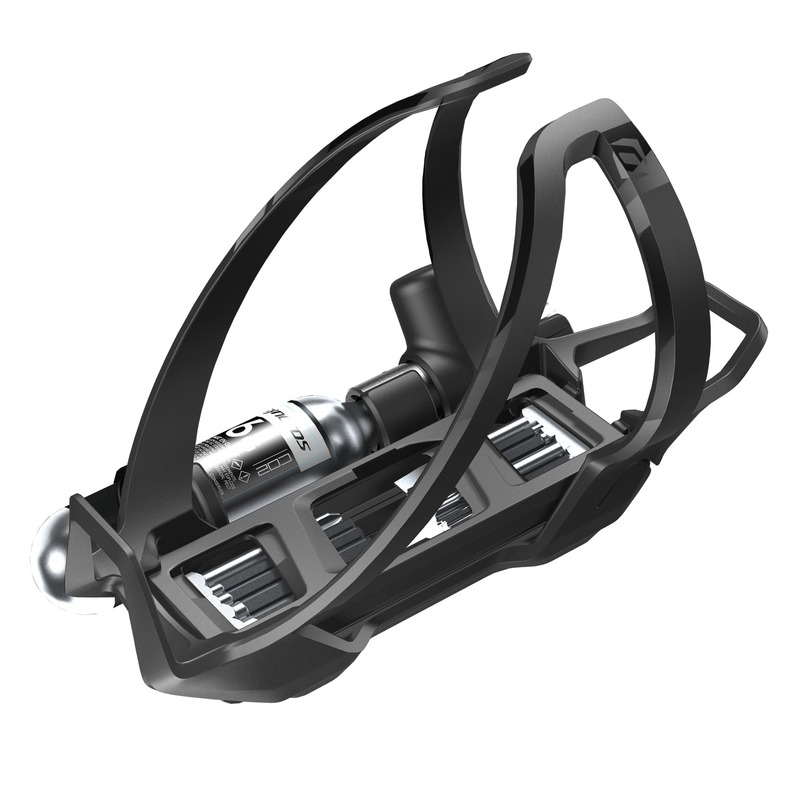 Current trends, arguably initially driven by both cross-country and enduro riders, are shifting away from the once omnipresent water pack towards simpler, less cumbersome solutions. This has led to the rise of more on-the-bike options that are smart, clean and functional so that even without a pack you aren’t that person who’s always begging, “Can I borrow a multi-tool?” at every trailside regroup. And let’s face it, no one wants to ugly up their beloved mountain bike by taping repair items to the frame, stem or seat post. Another benefit of these on-the-bike tools is that you know you’ll have them with you on every ride. No chance of forgetting with these set-it-and-forget-it options. There is one consideration. 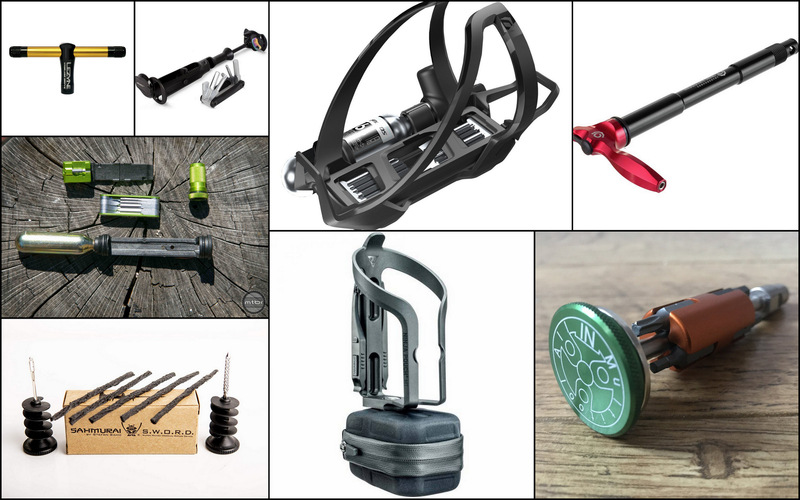 Unlike tools in your pack, these stay with the bike and not the rider. Thus, if you have more than one bike in your weekly rotation you’ll still have to remember to bring the proper tools by either moving these over or getting a separate set for each bike. Here are eight of our favorites. Clever and well designed, One Up’s EDC (Every Day Carry) might be the pinnacle of full capacity, on-the-bike tool storage. 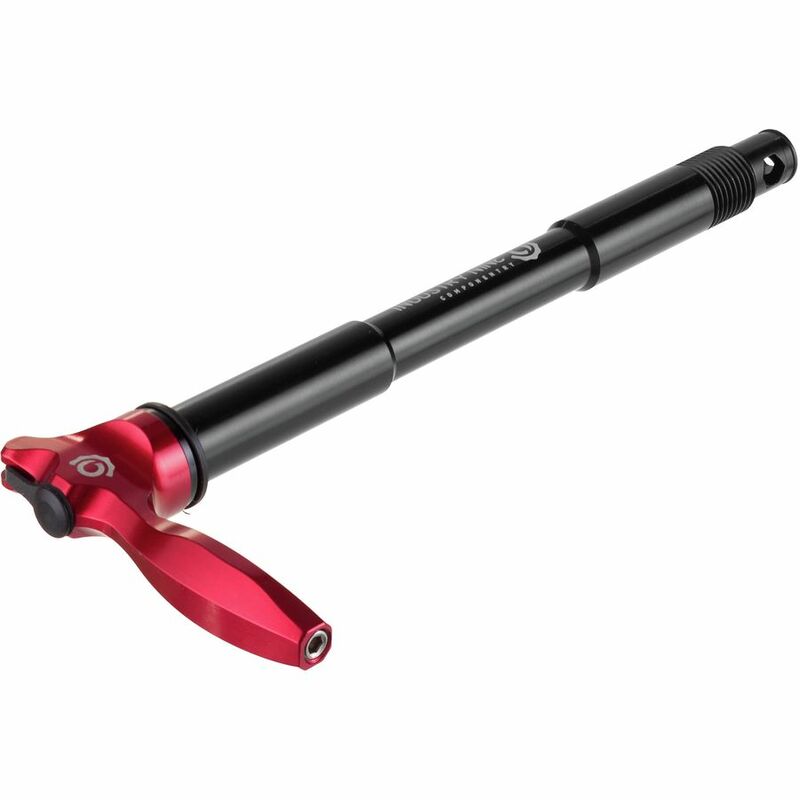 It nestles securely in your bike’s fork steerer with an impressive array of tools: 2, 2.5, 3, 4, 5, 6, 8mm hex (most don’t have an 8mm to tighten crank arms), T25 star bit and flat head screwdriver secured in a tiny foldable mini-tool. The shell includes chain link storage, spoke tools, Presta valve core remover, tire lever, and even a chain breaker. The bottom of the kit can hold one CO2 up to 20g in size. All this comes in at a respectable weight of about 230 grams. Note that you may also have to purchase the $35 One Up tool to thread your steerer for installation if your local shop can’t provide this service. This tool is only compatible with tapered aluminum steers. Check One Up’s website for complete compatibility details. Simple, clean, effective: that’s this offering from Syncros. It’s a glass reinforced bottle cage with a sliding storage port beneath that holds the brand’s 10-function multi-tool with the usual hex and star-shaped keys, including a Phillips and flat head screwdriver. A side storage port cradles the included CO2 presta/Schrader valve nozzle and a 16-gram cartridge. It’s a handy way to know that you’ll always have a tool for basic repairs and an inflation device with you on those days you don’t want to carry a pack or load your pockets. 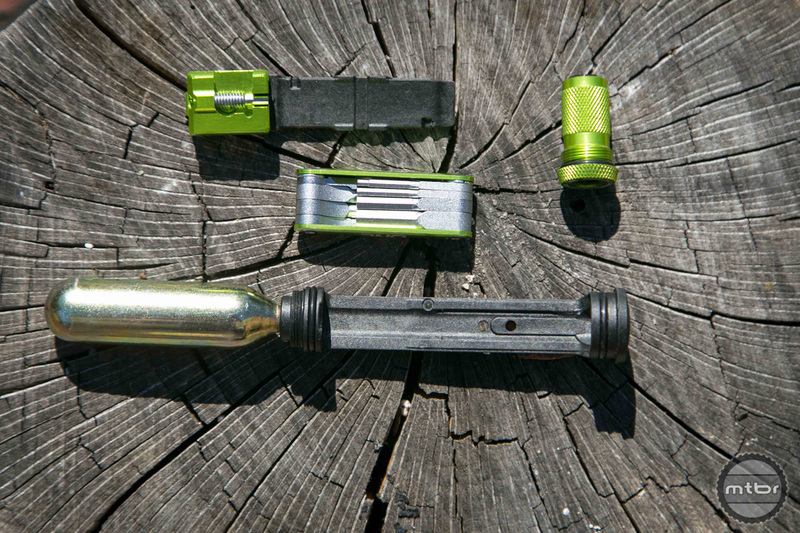 One of the most creative and best hidden on-the-bike tool kits is the Industry Nine MatchStix. 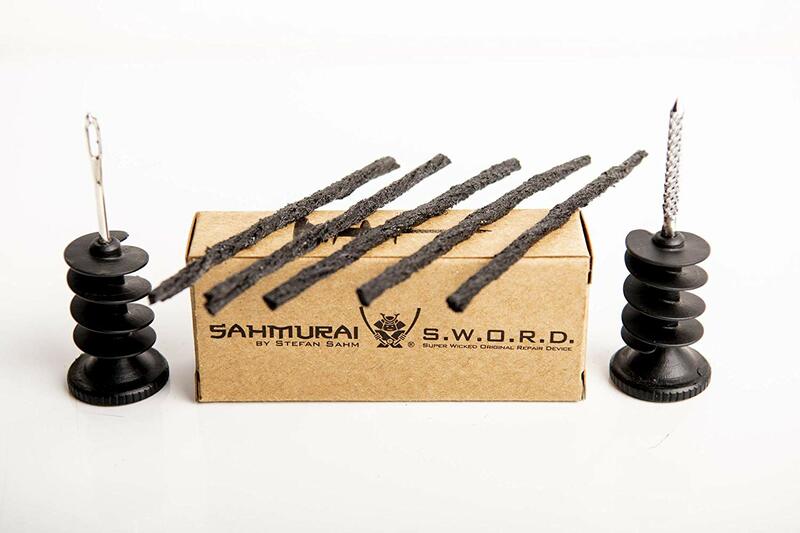 It replaces your 15mm fork thru-axle with a similar thread-in axle that contains a total of six hex bits (6, 5, 4, 3, 2.5, 2mm) and a T25 star bit. Four of those reside in a sleeve inside the axle with the 3mm hex also operating the chain-breaker. The handle seconds as a chain breaker and spoke tool as well as the 5mm hex and bit receiver. The bit holder also serves as a valve core remover and can carry a spare chain link. That’s a lot to digest but it’s a clever solution that’s well designed and easy to use. MatchStix’s are available for Fox and RockShox forks in standard as well as Boost (including one for the RockShox Bluto fat bike fork) with 11 color options. Topeak’s Ninja Pouch+ Mountain is a handy way to carry a spare tube (up to 29” x 2.35” in size) along with a set of tire levers. 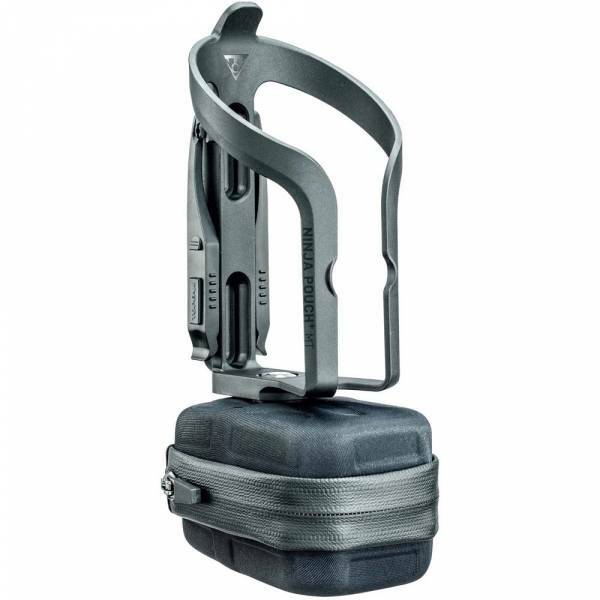 The cage is made from sturdy high-grade polymer and the zippered bag is EVA form. The polymer levers securely snap onto the side of the cage. When it’s time to remove the tube the pouch can be rotated sideways towards the side of the bike for easier access. 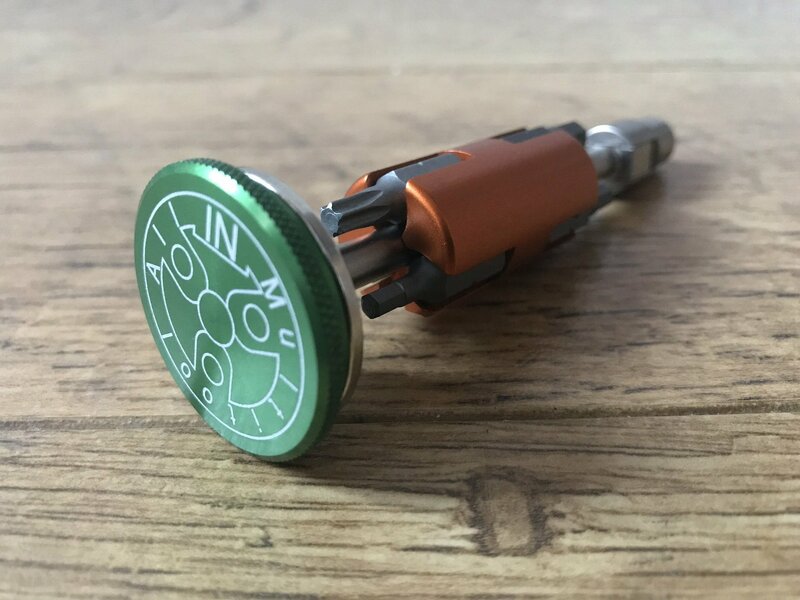 This nifty tire plug kit that’s hidden in your handlebar ends is used by current cross-country World Champion Nino Schurter. The kit contains a reamer to prepare the hole that goes on one side and a fork tool to insert the plug which goes in the other along with five plugs. The handle/bar plug is made from soft, impact proof rubber with a lock and release system utilized by a counter-clockwise twist. Once removed it works just like any other high-quality tubeless tire repair kit. Never again worry about forgetting your plug kit and you don’t have to tape it to your bike. It’s a good day to be prepared on the trail without even carrying any tools on you. All In’s answer to the hidden multi-tool is using the open space in your hollow steel crank arm spindle with a 21mm or larger diameter. 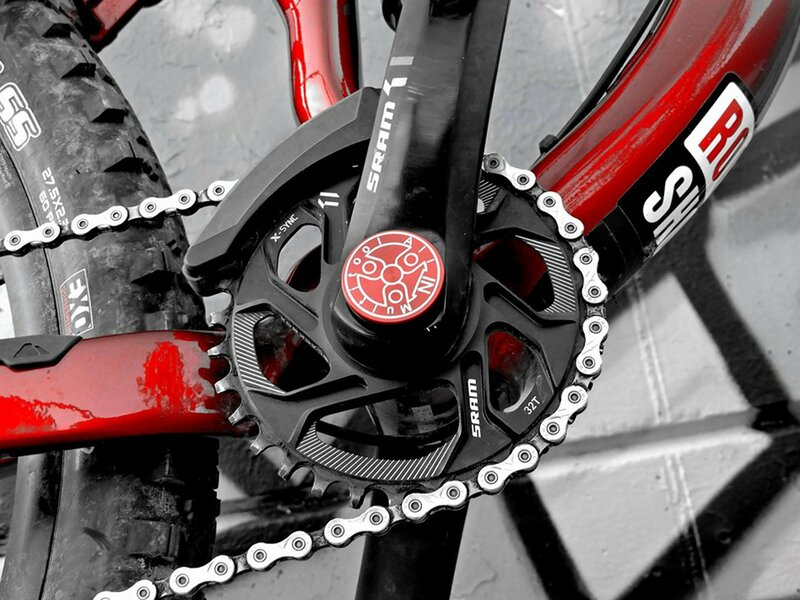 It relies on Neodymium magnets to hold it in place (most Shimano and SRAM cranks are fine but any aluminum spindle cranks aren’t compatible). It has six driver bits: 3, 4, 5, 6mm hex keys, a Phillips-head screwdriver and a T25 star bit. It also has a space to store a chain link. All these goodies are held in place magnetically. It’s all in the crank! 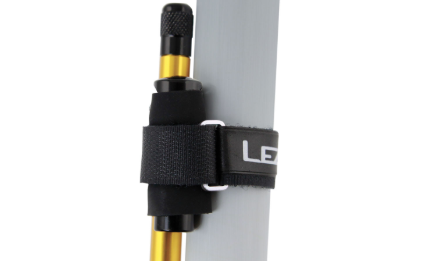 The driver can hinge up to 90-degrees to help reach tricky bolts with added ease. Earlier versions lacked a chain but the new V2 has it added to the package to round out this complete trailside repair offering. Specialized’s version of the “hidden in the fork steerer” tool doesn’t require thread tapping—a base plate at the bottom of the steerer preloads the headset by tightening against the top cap above the stem—and while it has fewer tools than the One Up it does have enough basics to get you out of a trail side jam. Included is a spring-loaded mini tool hidden under a quick-action top that, when pivoted open, allows the mini tool to pop up for easy access. The tool contains 3, 4, 5, 6 and 8mm hex keys and a T25 star key. The lower half holds a chain link and the device also doubles as a chain breaker. 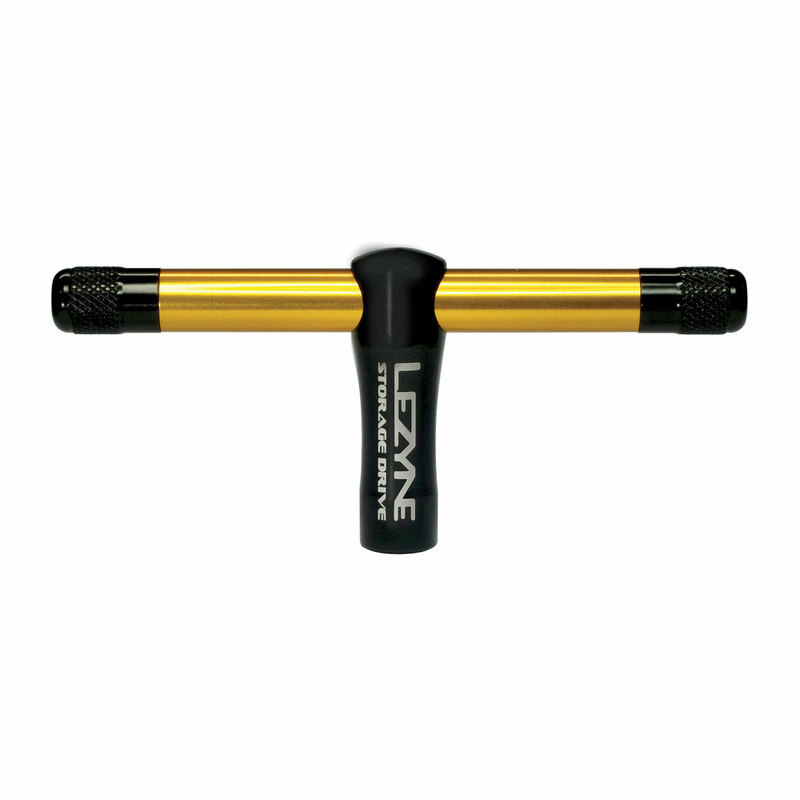 Lezyne’s Storage Drive is a minimalist tool that’s designed to be a quick draw for common trailside adjustments and maintenance such as saddle height, stem and handlebar positioning, and cleat or rotor bolt tightening. 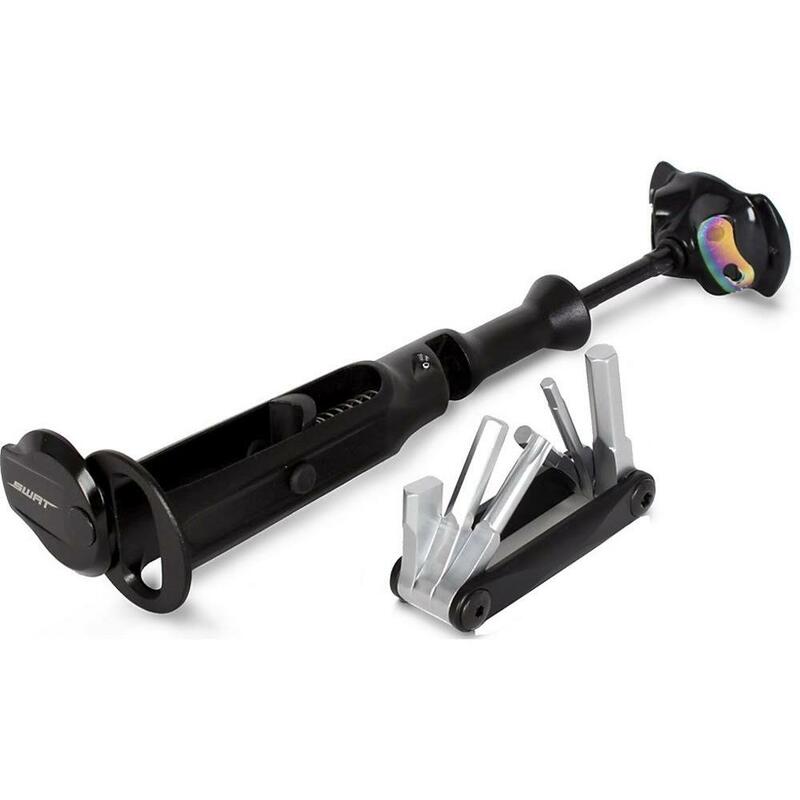 Made entirely from machined aluminum it has a hollow storage tube with a removable handle and integrated magnet to hold bits in place. The five included bits are the most common for basic fixes: 4mm, 5mm and 6mm hex (a necessity if you have a non-quick release thru-axle) along with T25 and T30 star-shaped bits. The tool can be attached anywhere on the bike frame or bar. Weight is a mere 77 grams and it comes with a neoprene reinforced bike mount strap so you can discretely secure it to your seat tube, seat post or most anywhere else you desire. A great summary of the tools available are seen here in Seth’s Bike Hacks summary. It’s a good day to be prepared on the trails without even carrying any tools on you. Get a seat bag & carry your tube and tools in it & stop this strapping your tube and Co2 to your frame shenanigans. and try to find your seatbag somewhere along the 8km trail after it came off because of rear wheel when seatpost fully dropped. Seat bag with a dropper post? Let me know how that works….